On January 24, the Federal Circuit affirmed a jury’s finding that the defendant-appellant, Medtronic, induced surgeons to infringe two patents of plaintiff-appellee, Dr. Mark Barry, which were directed to methods of correcting spinal column anomalies, such as those due to scoliosis, by applying force to multiple vertebrae at the same time. Medtronic appealed on several grounds, “principally concerning the public-use and on-sale statutory bars, but also concerning prior invention, inequitable conduct, and induced infringement.” The majority of the panel rejected the appellant’s arguments, while Chief Judge Prost dissented and would have found that one of the patents was invalid due to either the public use or on sale bars of Section 102(b). Barry v. Medtronic, Inc., No. 2017-2463, 2019 U.S. App. LEXIS 2305 (Fed. Cir. Jan. 24, 2019) (Before Prost, Chief Judge, Moore and Taranto, Circuit Judges) (Opinion by Taranto) (Dissent by Prost). The following facts form the core of the background necessary to understand the issues presented to the Court. The inventor, Dr. Barry, began working on the problem addressed by his inventions in late 2002 or early 2003. Around the same time, in 2002, Dr. Lawrence Lenke, a surgeon who works with Medtronic, began working on a similar project. In 2003, Dr. Barry began working with a sales representative for the Depuy medical device company to adjust Depuy’s tools in accordance with Dr. Barry’s ideas. He also spoke with representatives from another company, Spine Vision, about his ideas. By July 2003, Dr. Barry possessed a tool consistent with his invention, and he used the tool to perform three surgeries in August and October of 2003 on the most common types of scoliosis-caused spinal conditions. Between August 2003 and January 2004, Dr. Barry saw the three patients several times for follow-up evaluations. According to Dr. Barry, it was only in January 2004, after the three-month follow up for an October 14, 2003 surgery, that he felt confident his invention functioned for its intended purpose and was ready to be publicized in a professional forum, which he did in February and July of 2004. He then filed for patent protection on December 30, 2004, making the critical date for any public-use or on-sale bar December 30, 2003 under 35 U.S.C. § 102(b). On appeal, the Federal Circuit addressed several arguments raised by Medtronic, including that Dr. Barry’s invention was in public use or on sale before December 30, 2003 and Dr. Lenke was a prior inventor on both patents. Regarding the public use bar argument, the majority evaluated each of the “ready for patenting” and “in public use” elements in turn. First, however, the majority noted that commercial uses of an invention can be experimental, and therefore commercial use need not trigger the statutory bar. The majority then rejected Medtronic’s argument that the underlying invention was “ready for patenting” at the time of the public use because it was not “reduced to practice.” More specifically, Dr. Barry’s invention, while being constructed or performed, had not been determined to “work for its intended purpose.” To support its argument to the contrary, Medtronic had pointed to surgeries performed prior to the critical date that used the invention. The majority rejected this argument, however, because “the evidence allows a reasonable finding that Dr. Barry did not know that his invention would work for its intended purpose until January 2004, when he completed the follow-ups on those surgeries.” Expert testimony supported Dr. Barry’s position that follow-up was necessary to determine if the operations were successful and that the invention was working for its intended purpose. The majority further rejected the Medtronic argument (which was embraced by the dissent) that the claims of the patents had a narrower “intended purpose” and were therefore met by the completion of the first surgery or at least the first and second surgeries. The majority instead found that the patents’ intended purpose required “the correction [to last] so as to improve the patient’s health,” which would require follow-up by the surgeon. The majority went on to also evaluate the “in public use” prong of the public-use bar analysis, despite its conclusion the other prong had failed, and found that Medtronic’s arguments would also fail under the “in public use” prong. The majority found that the use was limited, with only a few people in the operating room during the surgeries having a clear view of the surgical field, and that the jury could have credited a theory that those who did witness the surgeries were under an implied duty of confidentiality. Further, the majority found that even though Dr. Barry was compensated for the surgeries performed (i.e., the invention was commercially exploited), the surgeries fell within the experimental-use exception. Indeed, Dr. Barry charged the same fee for use of his inventive method as he did for using prior-art methods, and Dr. Barry did not attract the patients as a result of using the inventive methods. U.S. District Court for the Eastern District of Texas did not abuse its discretion in issuing the jury charge because (1) it was reasonable for the court to address potential confusion legal standards that govern experiments in quite different legal contexts, and (2) the district court’s instruction was not inconsistent with Federal Circuit law. The majority also rejected Medtronic’s argument that Dr. Lenke had previously invented the claimed subject matter because there was substantial evidence that the “prior invention” was not reduced to practice before Dr. Barry. The majority pointed specifically to credibility issues that could allow the jury to reject Medtronic’s position. The majority further rejected an inequitable conduct argument because the district court was reasonable to credit Dr. Barry’s explanation of an error made during prosecution as inadvertent. Thus, Dr. Barry lacked the requisite “intent to deceive the PTO” required for a finding of inequitable conduct. The Court also rejected a challenge to the district court’s finding of direct infringement. 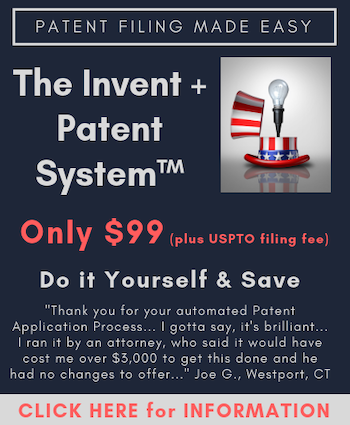 Evidence of direct infringement was provided by Dr. Barry in the form of a survey that tracked the claim language of the asserted patents. The survey asked surgeons if they had performed a procedure with the elements of those claims. The majority rejected the argument against the survey data, stating there were no flaws in the survey that the jury could have reasonably credited amongst other evidence of direct infringement. Finally, because the majority rejected Medtronic’s argument regarding the purported errors in the survey of surgeons, Medtronic’s challenge of the damages award was also rejected. In rejecting each of Medtronic’s arguments directed to public-use and on-sale statutory bars, prior invention, inequitable conduct, and induced infringement, the majority affirmed the judgment of the district court. The facts are simple. More than one year before filing for the ‘358 patent, Dr. Barry successfully performed his claimed surgical method on three different patients, charging each his normal fee. Dr. Barry’s method was thus prima facie ‘on sale’ or in ‘public use’ before the critical date . . . . Never mind that Dr. Barry appreciated that his method worked as of a surgery’s completion. And never mind that successful follow-ups for the first two surgeries occurred before the critical date. Dr. Barry testified that he needed that third follow-up to be satisfied. On this basis, the majority concludes Medtronic failed to show [invalidity]. Chief Judge Prost went on to refute the majority’s public use and on sale statutory bar analysis.